Note: Did this sixth-grader use stolen research, passing it off as her own? Read this article. 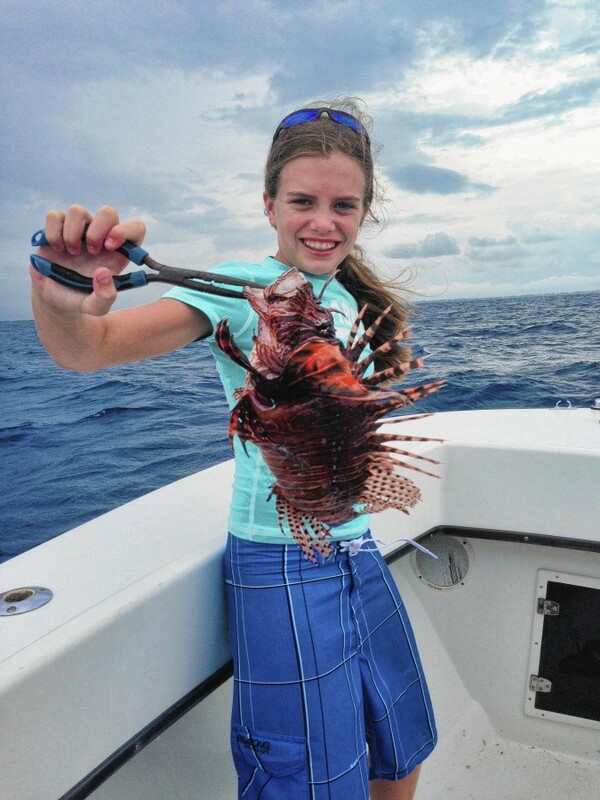 Just days after the story about the Lionfish ban, comes a story of a 12-year old girl out of south Florida. 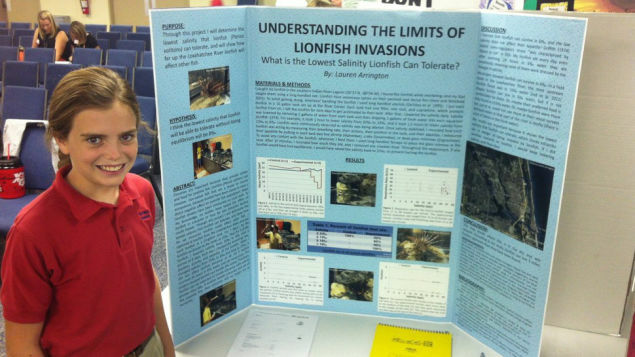 Lauren Arrington just wanted to top the other kids' science fair projects. But she ended up making a breakthrough that surprised even seasoned, Ph.D.-holding scientists. Craig Layman, an ecology professor at North Carolina State University, called Lauren's work “one of the most influential sixth-grade science projects ever conducted.” He said it demonstrated something scientists should have done years before. “Sometimes it takes someone outside of science – or a student – to look at something in a different way,” Layman said.